Donald Trump nominated a gay federal judge, the second in his administration. 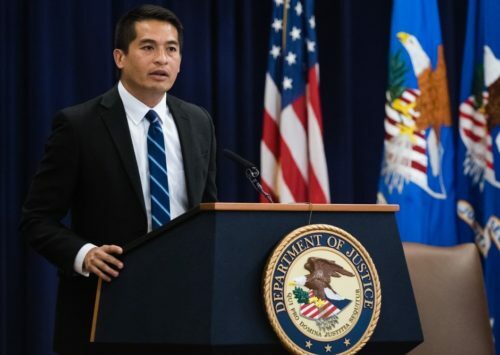 The White House announced the nomination of Patrick Bumatay to the Ninth Circuit Court of Appeals last week. Bumatay is a U.S. Attorney who currently works in the Organized Crime & Drug Enforcement Task Forces Section of the U.S. Attorney’s Office for the Southern District of California. While conservative, Bumatay appears not to have a record of anti-LGBTQ activism, a contrast from many of Trump’s other judicial nominees. Bumatay is the second gay federal judge appointed by Trump, according to the Washington Blade. The first was Mary Rowland, who was appointed to the U.S. District Court for the Northern District of Illinois. But he still has a way to go to catch up with Barack Obama, who nominated eleven LGBTQ federal judges during his administration.